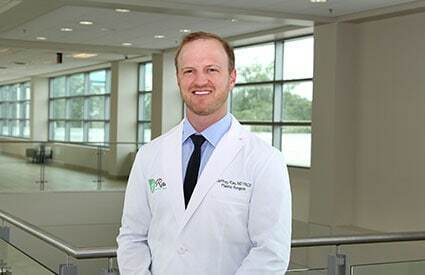 Dr. Jeffrey Rau offers multiple breast reconstruction options here in Houma. Candidates for breast reconstruction include post-mastectomy breast cancer patients, women who have a genetic breast defect that creates an undesirable look, and women who have suffered an injury that has altered the appearance of the breasts. Why Is Breast Reconstruction Important? When you feel unhappy with the face that stares back in the mirror, you don't have to let that feeling define you. Dr. Rau and the team at Rau Plastic Surgery can help with procedures like facelift and Botox today. A more youthful face awaits. Sometimes, achieving the body you want requires more than a healthy diet and regular exercise. Dr. Rau at Rau Plastic Surgery is ready to help you contour, eliminate stubborn fat and excess skin, and achieve the body you've always wanted at last. When you feel that your breasts are too small, too large, or have an unattractive shape, it's only natural that your self-confidence suffers. The team at Rau Plastic Surgery understands and is here to help with a variety of breast enhancement procedures that will help you feel confident about yourself. Dr. Jeffrey Rau is a Board Certified Plastic Surgeon who has a genuine passion for helping others through plastic surgery. His love of family and south Louisiana coupled with the need in the community for his specialty made returning to his hometown of Houma an obvious choice. NeoGraft’s minimally invasive hair transplant procedure is a much more desirable option for both men and women! The NeoGraft Automated Hair Transplantation system is a leading edge technology for men and women looking to restore their hairline using the Follicular Unit Extraction (FUE). This method gently removes the individual follicles from the back of the head (the “donor area”) in their naturally occurring groupings of about 1-4 hairs. Next, the follicles are then artistically implanted in the areas of the scalp where balding has occurred. This helps to complement the facial structure and current hairline. If you are considering breast augmentation, this guide was created just for you. There are undoubtedly many questions on your mind, and this guide will discuss the answers to those questions in an easy-to-understand way. As always, the staff at Rau Plastic Surgery is glad to discuss the surgery with you further as well. Keep reading to get all the essential information about breast augmentation surgery. We now offer Vectra 3-D aesthetic imaging and simulation for various procedures. This sets Rau Plastic Surgery apart from most other doctors who are still using older technology.